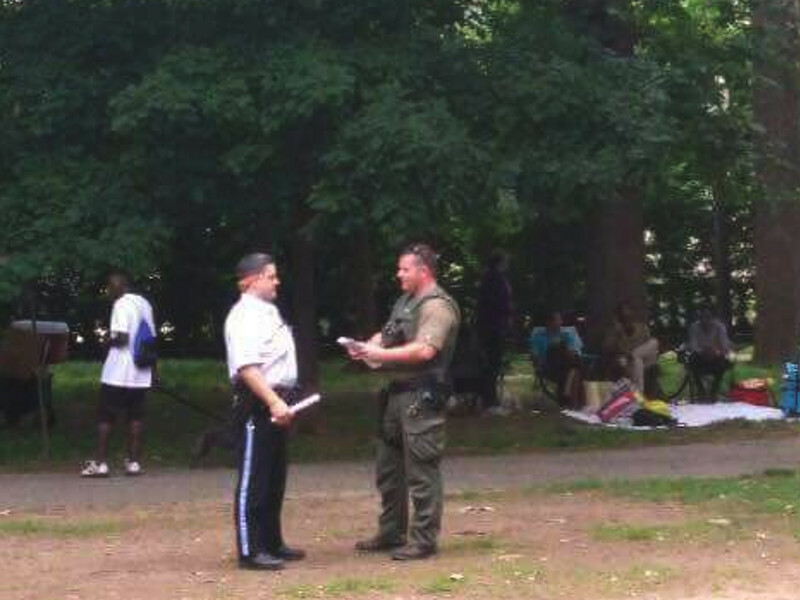 On the 27th of May, US Park Police, some in SWAT uniforms shut down a Black Pride event at Malcolm X Park. Other Black Pride events still going on. Reports on Twitter claim that the Capitol Pride organizers do not consider this incident to be grounds to expel police from marching in the Capitol Pride parade on June 10. On the 29th of May, the CISPES Solidarity Ride returned to DC from 180 miles on the road by bike in three days. 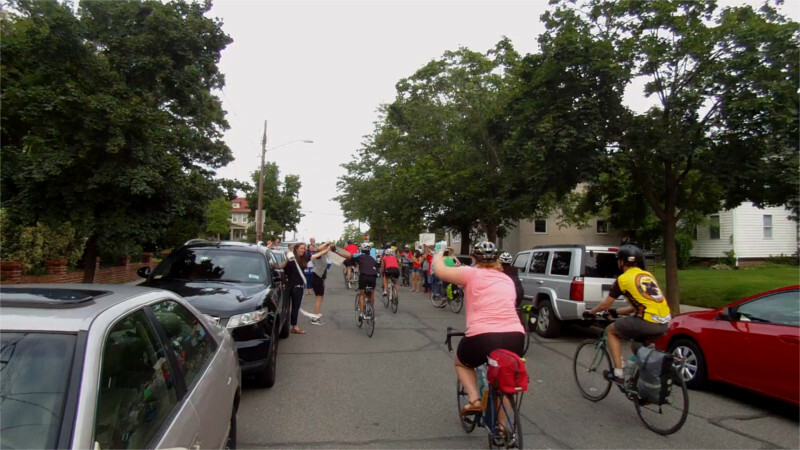 The ride raised over $17, 500 for the CISPES Education Fund, which supports community-based organizing in El Salvador. The Washington Peace Center reports some of this organizing will be efforts to resist border militarization in both Central America and in Mexico as being pushed by the US. 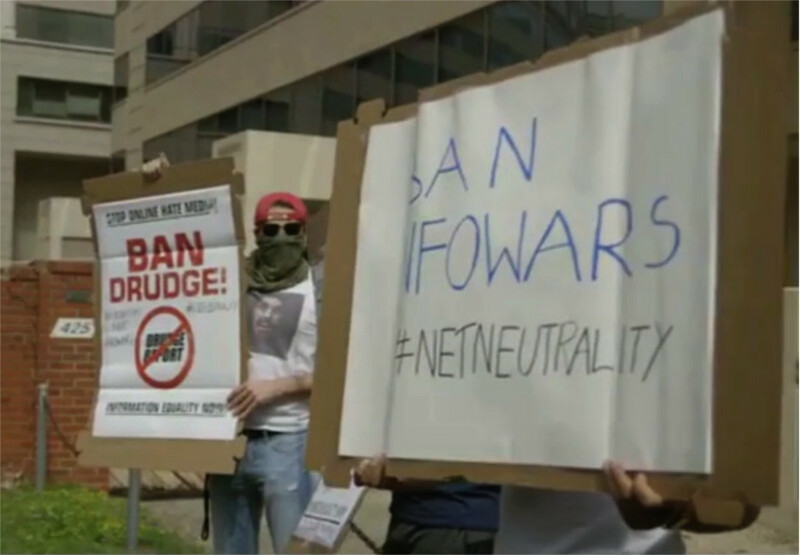 On the 18th of May, activists holding a sit-in and rally at FCC headquarters for net neutrality noticed several folks trying to pose as anarchists, with signs calling for banning far-right websites. 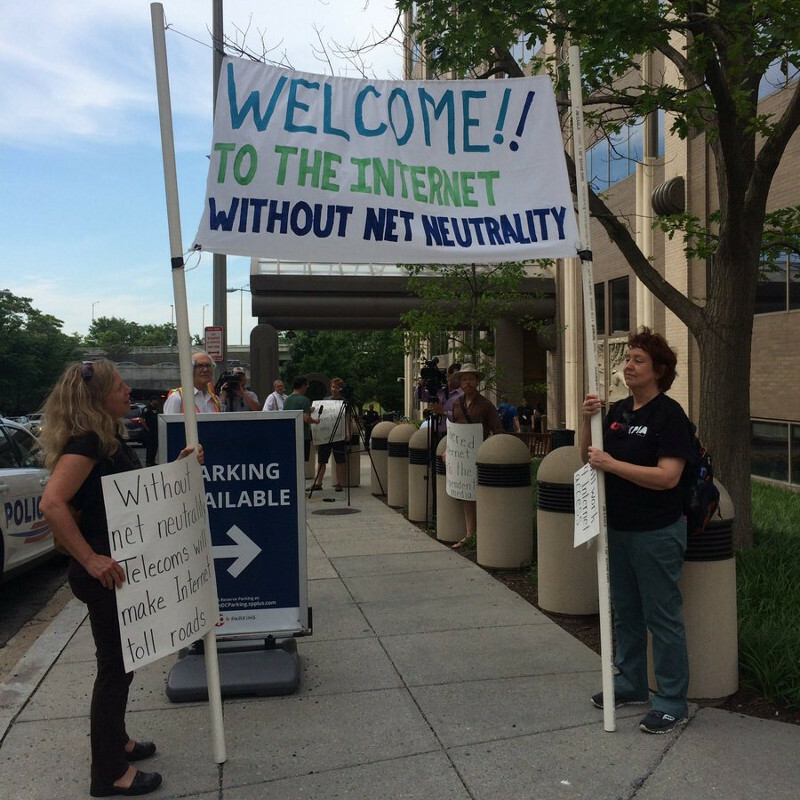 This message was in direct conflict with net neutrality. Jack Posobiec streamed this fake news of planted signs onto Twitter via their "periscope" service. As G7 leaders continue to meet in Taormina, Italy, relief groups like Oxfam International are intensifying calls for aid monies to address famine. Twenty million people are suffering the affects of famine and ‎the UN calls for $6.3 billion in aid. 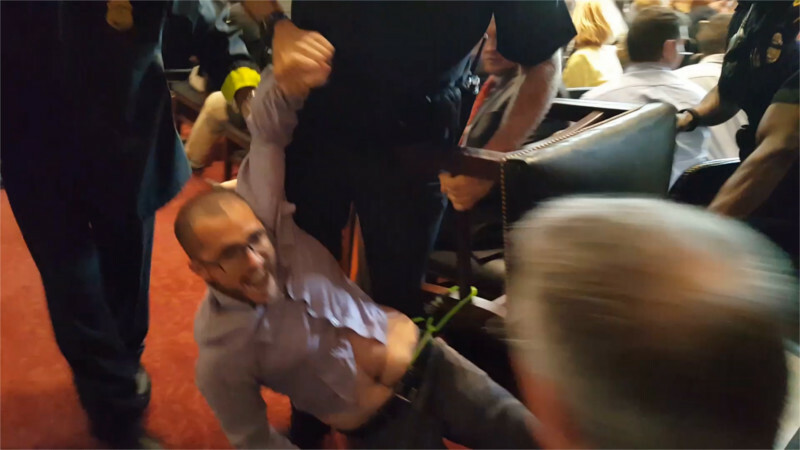 On the 25th of May, protesters repeatedly disrupted a Senate confirmation hearing for Trump's nomineess to FERC, the Federal Energy Regulatory Commission. One of the protesters was locked to a chair, and someone threw a loud noisemaker into the room. United Nations Deputy Secretary-General Amina Mohammed and the IMF's Christine Lagarde join world leaders for the Financing for Development (FfD) Forum at UN Headquarters. The meetings come almost two years after the Addis Ababa FfD Summit to implement the global SDGs or Sustainable Development Goals"Two years ago, world leaders made promises through the Addis Ababa Action Agenda to build a more responsible global financial system," notes Eric LeCompte who helped negotiate the outcomes and gave remarks during the closing sessions. On the 22nd of May, the DC Zoning Commission approved the "second stage PUD" to allow redeveloping Brookland Manor without any of the current larger family units and a reduction of over 100 units of affordable housing. This is to make way for over 1,000 small luxury units. Residents protested both outside and inside the hearing, some vowing to camp on or in DC officials and Mid City's own buildings if they lose their apartments. 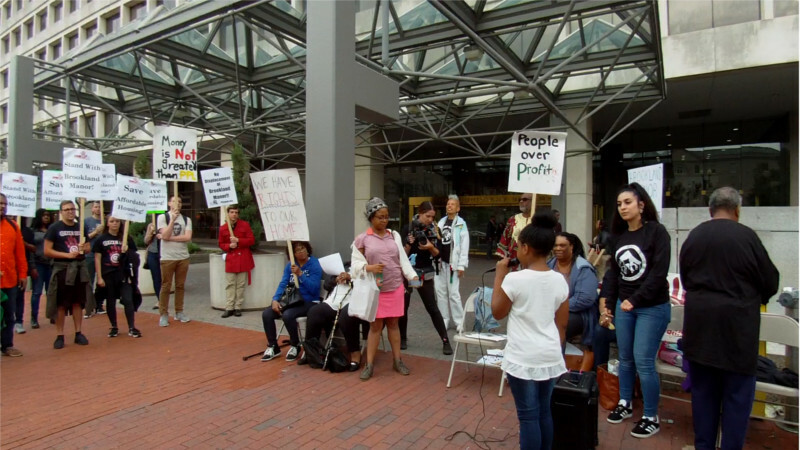 Video-Brookland Manor tenants, allies vow to occupy city official's homes over just-approved "redevelopment"
On the 20th of May, the annual March on Monsanto marched from the White House to Monsanto's DC corporate lobbying office on I st by the south side of Franklin Square. This time around, protesters were demanding not only an end to Monsanto's genetically modified crops and seed patents but also to their production of white phosphorus, sold to the US military and used in places like Gaza. On the 19th of May, DC area activists staged a street march and series of vigils and flower layings to remember those killed by police and the FBI. 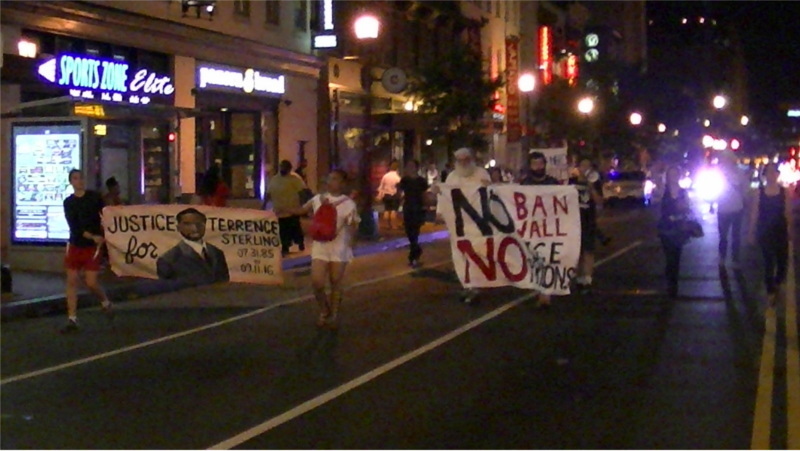 Terrence Sterling's name came up a lot during the march. This was during National Police Week, when cops from all over Turtle Island come to DC to celebrate their crimes, get drunk, and sometimes even riot and damage hotel property. On the 16th of May, Turkish dictator Erdogan's security forces beat and kicked peaceful pro-YPG and Armenian protesters near the Turkish Embassy.On the 19th of May, protesters returned to the Turkish ambassador's home near the embassy. They denounced both Erdogan's security squad's brutality in DC and routine similar behavior in Turkey. 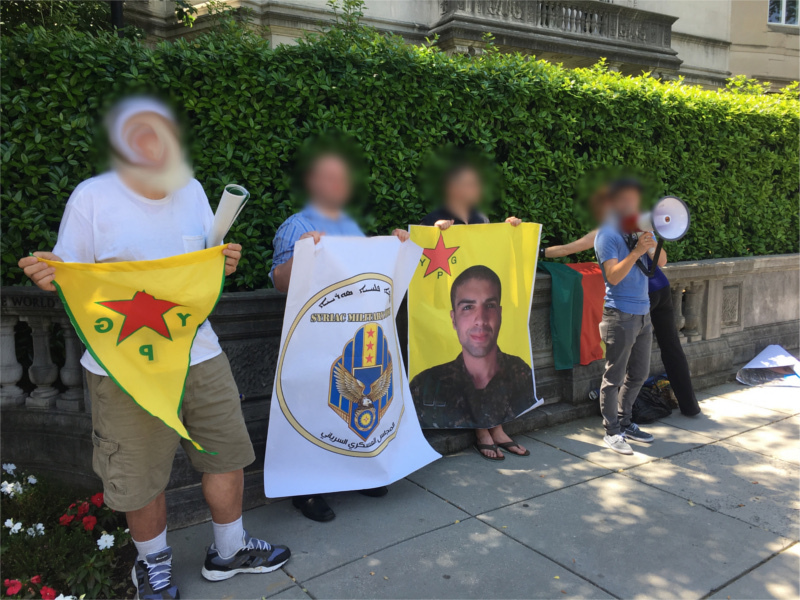 Kurdish activists and DC area antifascists were both present at this protest. The Shortwave Report 05/19/17 Listen Globally! Read more about The Shortwave Report 05/19/17 Listen Globally!